Of the three parishes that cover Wareham two have records with references to the Payne family. They are Lady St Mary and Holy Trinity. As well as baptisms, marriages and burials, the sources include the following records of financial matters: Vestry Meeting Minute Books for both Holy Trinity and Lady St Mary, Churchwardens' Account Books for both parishes, Overseers of the Poor Accounts Books for both parishes and Receipts for the Holy Trinity Overseers of the Poor. 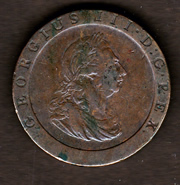 The earliest reference to the family was in 1768 and stated that 9d (9 pence) was paid for the Lady St Mary Poor Rate on "The houses Occprs Pain Jennings and Squire". Then on 27 August 1772 at the Vestry Meeting the minutes recorded that " Meeting agrees that the Overseers examine the following regarding their last legal place of Settlement (to Wit) Wm Pain". It appears that he might have moved because the next reference was in the Holy Trinity Churchwardens' Accounts for 1774 when William Paine paid 6d in Rates. He continued to occupy a property in the parish, owned by John Calcraft Esqr, up until his death in 1816. After his son William married Grace Parmiter, the Overseers occasionally felt it necessary to specify which William Payne was paying the Rate: in 1811 "Wm Payne Senr £2 12s 6d - 8d" and in 1814 "Wm Payne Senr House £2 12s 6d - 8d". 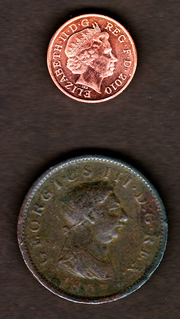 Remember that, before decimal coinage was introduced in the United Kingdom in 1971, there were 12 pence (d) in one shilling (s) and 20 shillings in one pound. Also 5/- means 5 shillings and 3/6 means 3 shillings and 6 pence. On 24 February 1792 he was paid 4s (4 shillings) by the Overseers of the Poor for "4 Weeks Lodging for Jane Gillingham". On 23rd March 1799 they paid his wife, "Mary Pain for looking after Mrs Clench 6½ Weeks at 2s and 1 Night Sitting up 6d". And again on 15 July the same year "Paid Mr Payne for 36½ weeks at 1s per week to July 20th for Ann Whiterow". 27 November 1800 "Pd Mr Payne for lodging J Gillingham 12s 6d"
14 October 1801 "Paid Mary Payne for Elizth Best 5s"
17 October 1801 "Paid Mary Payne for Hartnels wife 5s"
23 April 1804 "Wm Payne Wife one Child 8s"
This last is probably for the younger William Payne. He and Grace Parmiter had their first child, Eliza, in 1803. They received support again on 26 April 1806:"Pd Wm Payne Wife and two Children 12s"
14 May 1808 "Pd Wm Payne Bill for Hana Hardings Child 2s 6d"
25 November 1809 "Paid Mary Payne for Hannah Warden 5s"
Then in 1810 the older William began to receive parish relief and his right to settlement was soon to be challenged again, this time by the Holy Trinity parish Overseers. 4 August 1810 "Gave Wm Payn being sick 2s 6d"
6 October 1810 "To Wm Payn arrs for 3 weeks 7s"
24 November 1810 "Wm Payn 7 weeks at 5s" and ominously "Postage of Letters about the Settlement of Payn 10d"
An 1807 George III penny. meaning 5 shillings and no pence. 11 April 1811 "To Molly Payn for attending S Symond’s Wife 1s 0d"
27 April 1811 "Wm Payn 8 weeks at 5/-" and "Ditto 3 weeks at 3/6"
This last entry, from Lady St Mary, indicates that William was again employed by the parish, probably for some thatching work. But perhaps it is more likely to be his son since William senior had been sick and needing parish support for many weeks. 4 May 1811 "William Payn 3s 6d"
5 May 1811 "Paid Molly Payne for looking after B. Hedgecock 4s"
7 August 1811 "Paid Molly Payne for Attending Betty Hiscock 1s"
8 November 1811 "Gave Grace Payne 2s 6d"
Grace was to receive seven more payments of similar amounts before the end of the year. It isn't clear why. She was then given bread and fuel early in the following year. Meanwhile either her husband or her father-in-law was being paid for work. Finally, in April 1812, "Old Payne" was taken to Dewlish where the Overseers must have accepted responsibility for him because, although he returned to the parish of Holy Trinity, it was Dewlish that funded any financial support thereafter. 14 November 1811 "Paid Wm Payne 11 Weeks at 3s 6d Pr Week" and "Ditto 17 Weeks at 2s 0d"
4 January 1812 "Gave Grace Payne a Loaf 2s 9d"
7 January 1812 "Gave Grace Payne a Loaf 2s 9d"
24 January 1812 "Gave Grace Payne a Loaf 2s 9d"
20 March 1812 "Paid Mr Dean for Bread for Grace Payne 12s 1½d" also "Gave Molly Payne 1s" and "Gave Grace Payne for Fuel 2s 6d"
21 March 1812 "Spent at Vestry on Old Payne’s Account 7s 6d"
16 April 1812 "Paid Wm Payne 23 Weeks at 2/-" also "Chaise to Dewlish with Old Payne 19s 6d" and "Expenses for Ditto 16s 6d Gave Old Payne 4/-"
23 April 1812 "Journey to Dewlish with Old Payne 7s"
10 September 1813 "Cash Recived from Dewlish Parish for mony paid to Old Wm Payn & his wife £8 0s 6d"
22 October 1813 "Pd Wm Payn for Thaching Gallops House £2 18s 7d"
15 April 1814 "Pd Old Payn & his wife from the 10 July last for the Parish of Dewlish £8 0s 6d"
3 June 1814 "William Payne £1 8s"
7 January 1815 "Payne Wm Coal 3s 1d"
30 June 1815 "Molly Payne for sitting up with J Hobbs 2s"
1 April 1816 "Payne William 51 Weeks at 4/-" and "Ditto extra allowance during his illness £2 14s 4d"
5 April 1816 "Paid Payne Wm Latter week 6s"
7 April 1816 "Paid to the Widdow (of Wm Payne) 2s"
It appears that William died on or about 6 April. The Holy Trinity parish records only contain the burial date and William's age: 9 April and 76. The parish paid for the funeral and continued to support William's widow, Mary, until she died in 1820, reclaiming the cost from Dewlish from time to time. 1816 was known as the year without a summer. Mount Tambora, a volcano in Indonesia, erupted in April 1815 with devastating results. It was the largest eruption in recorded history and the long term effects on weather patterns world wide led to crop failure and famine. 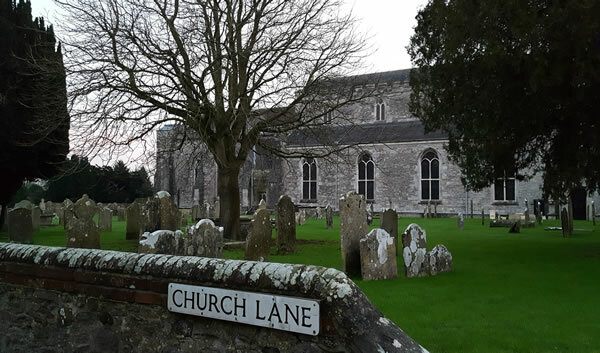 In Wareham there were 21 burials in 1813 and 20 in 1814 but the number rose to 26 in 1815 and 31 in 1816. It was not a good time to be elderly, sick and unable to work. 8 April 1816 "Paid Paynes Widdow 3s"
9 April 1816 "Paid Biscuit & Beer Paynes funeral 2s 9d"
12 April 1816 "Paid Widdow Payne 3s"
19 April 1816 "Paid Widdow Payne 3s"
27 April 1816 "Paid Molly Payne on Dewlish a/c 5s"
Confirming that Molly Payne and Mary Payne are one and the same. 1 October 1816 "William Gillingham for Paynes Coffin 14s"
21 November 1816 "Bill the Paynes account for Dewlish £1 8s 4d"
After William Sen. died, his son William continued to live in the same house with his wife Grace and their children. This is evident from the younger William's statement claiming settlement (see the link below) and also from the Overseers' Accounts that continue until 1836, when he died, with items such as "Payne Wm House £2 12s 6d - 2s 7½d", on 7 April 1826. 27 December 1816 "William Payne for thatching Gallops House 12s 6d"
It is not clear how many of the previous payments for thatching refer to the father and how many, as this one must, to the son. Considering how often William Sen. was ill and receiving support after 1810 it seems unlikely that he did much of the work after that date. Apart from regular payments to "Widow Payne" and the parish rate paid by William there are a few subsequent entries in the records worthy of mention. 9 January 1817 "Molly Payne for (unreadable) Hobbs & sitting up 4s"
7 March 1817 "Molly Payne Laying Child out 2s 6d"
Two payments to "Mrs Payne" in June/July 1818, "nursing Hoopers family 5s 6d" and "for looking after Emma Brown 2s" might refer to Mary or to Grace. Holy Trinity made three cash payments to William in July 1817: one of 3s and two of 1s 6d; then another 1s in October 1818. These look like support rather than for work. But he was employed by Lady St Mary when the parish made four payments of £1 to him, followed by another £1 in January 1818, and finally in February the very precise £3 16s 10½d "to balance his Account". 3 December 1818 "Settlement Examination of William Payne"
Having claimed refief from Holy Trinity during the past year or so, William faced an examination by the overseers of the poor to test his right to settlement in the parish. Click the link to see an account of William's settlement examination.